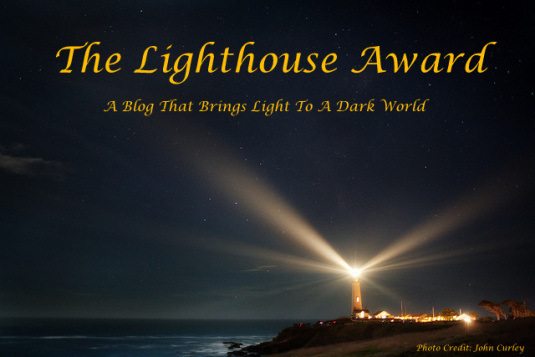 http://maldivesdreamer.com just nominated me this wonderful award, The Lighthouse Award. I cannot express my gratitude in words for this loving gift. Thanks a lot Irene and I appreciate your support wholeheartedly. Keep up the good work and happy traveling. •Display the Award Certificate on your blog. 1) I like listening to people’s stories or when they are in pain. May be I can’t do much with the situations something but giving people ears to listen helps a lot. 2) I like to inspire people with my words. It can be with their passions, reaching goals, or just with living everyday life. 3) Finally, I like sharing my knowledge. Little or big, whatever knowledge/wisdom I have I like to spread it among my friends, families, or just anyone. I believe that knowledge does increase more when you share them. Good luck and congratulations to you, please keep up the good work, happy blogging.